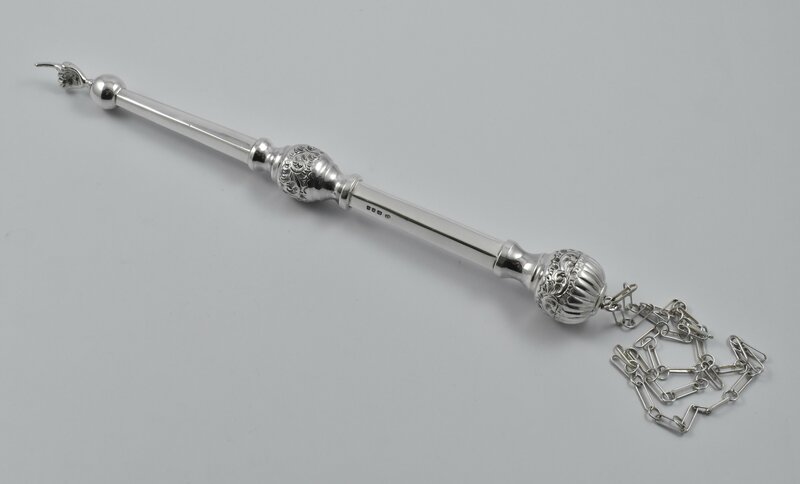 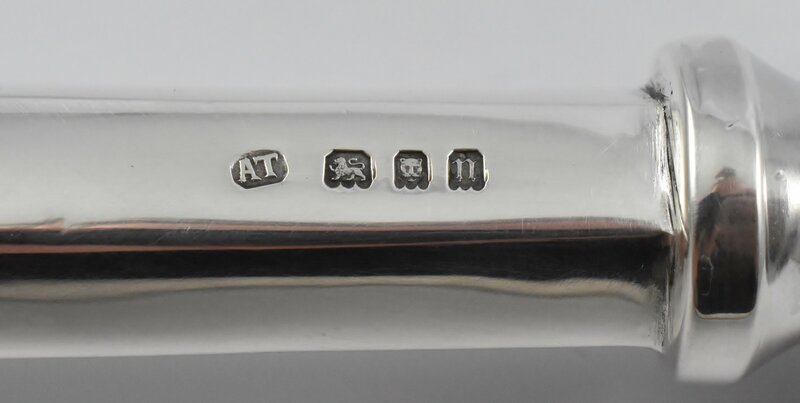 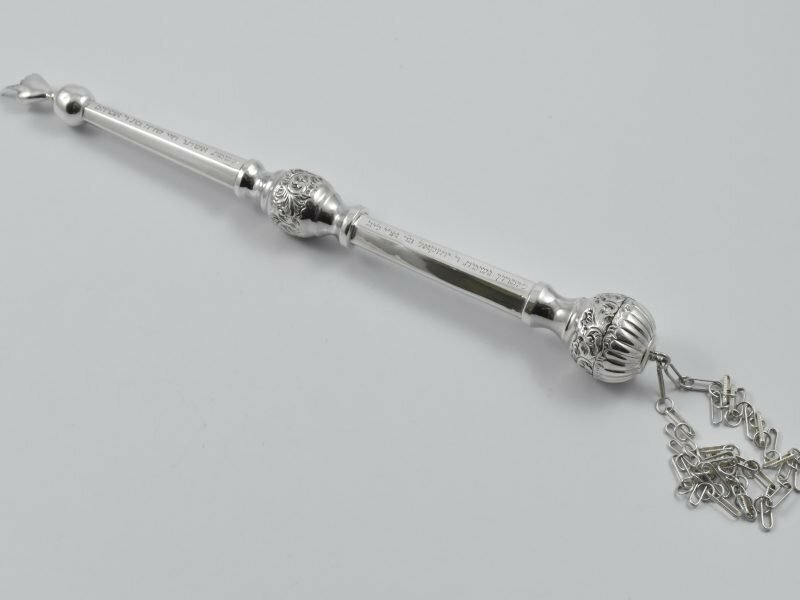 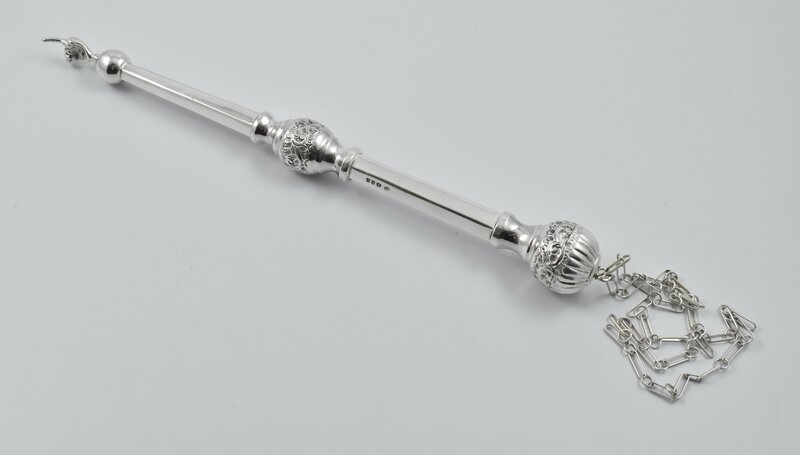 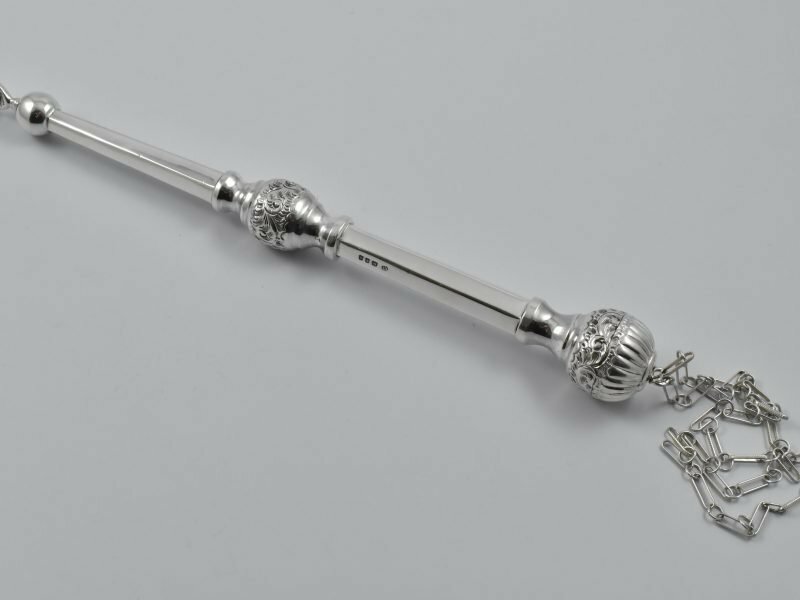 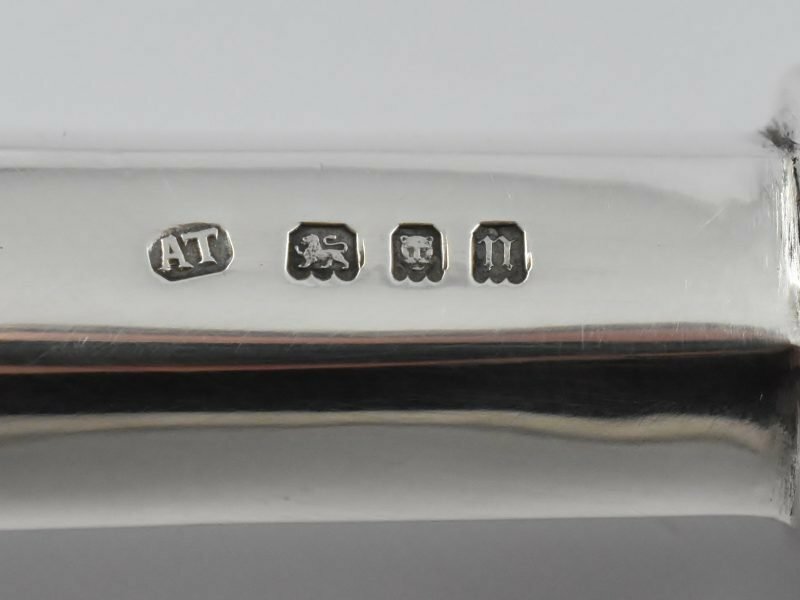 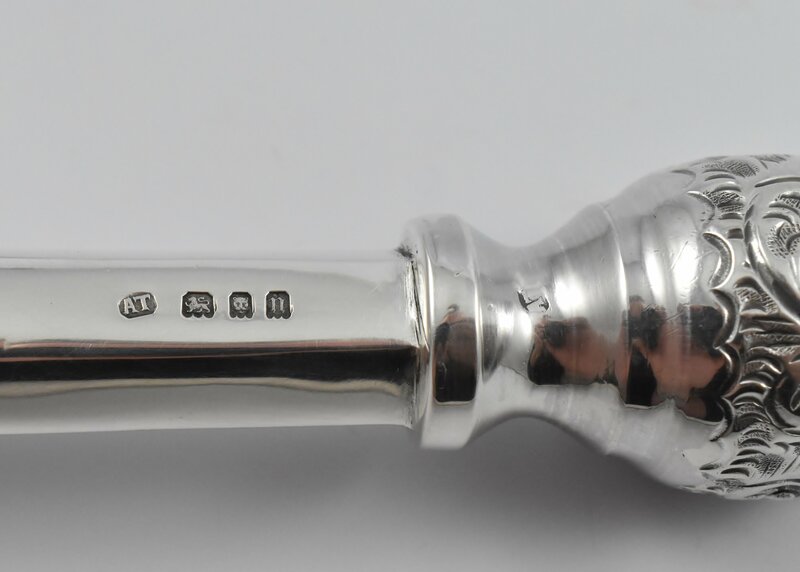 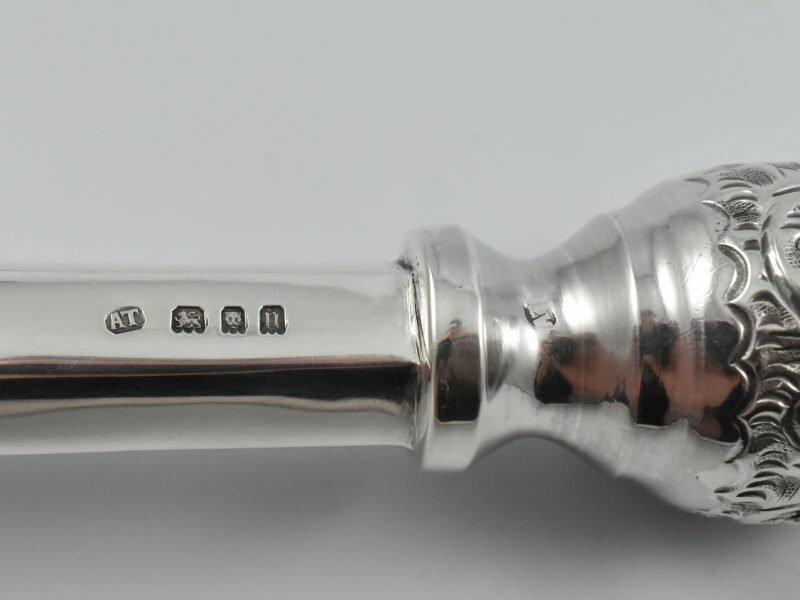 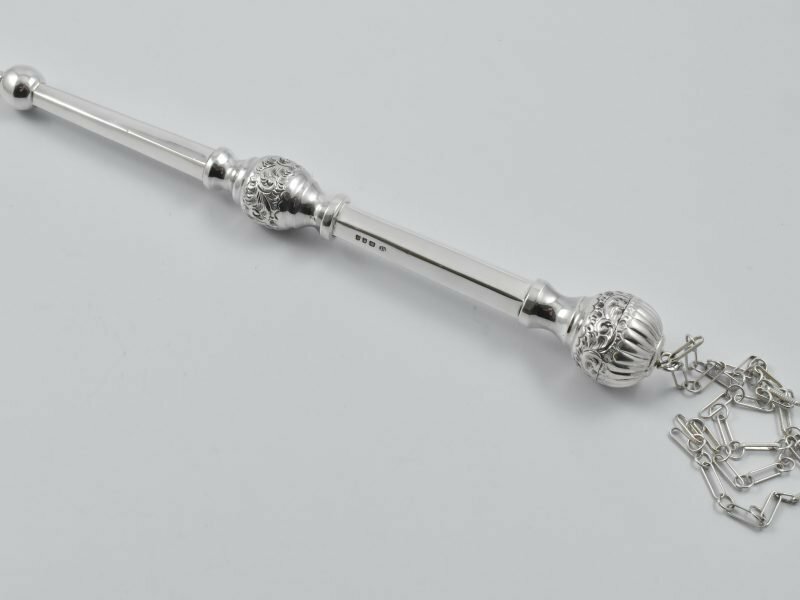 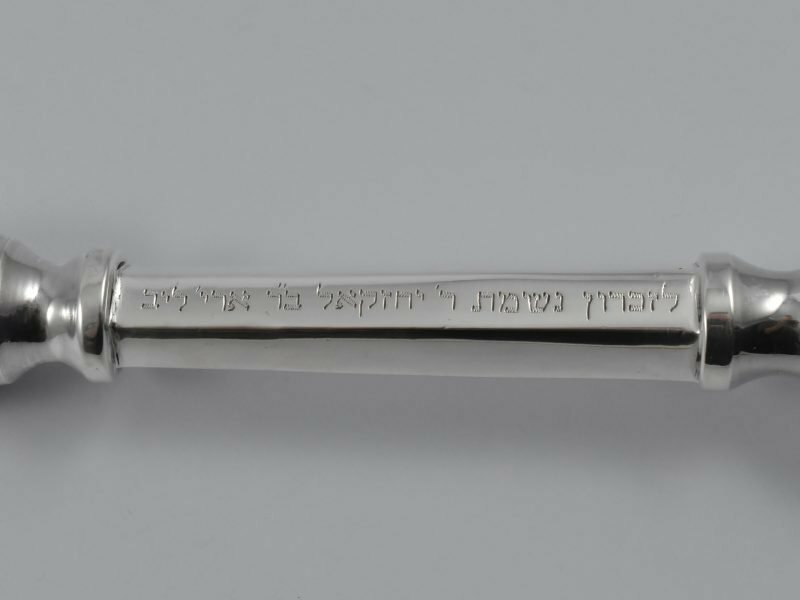 English Silver Yad (Torah Pointer) with original chain marked for London 1928 by Aaron Taitelbaum. 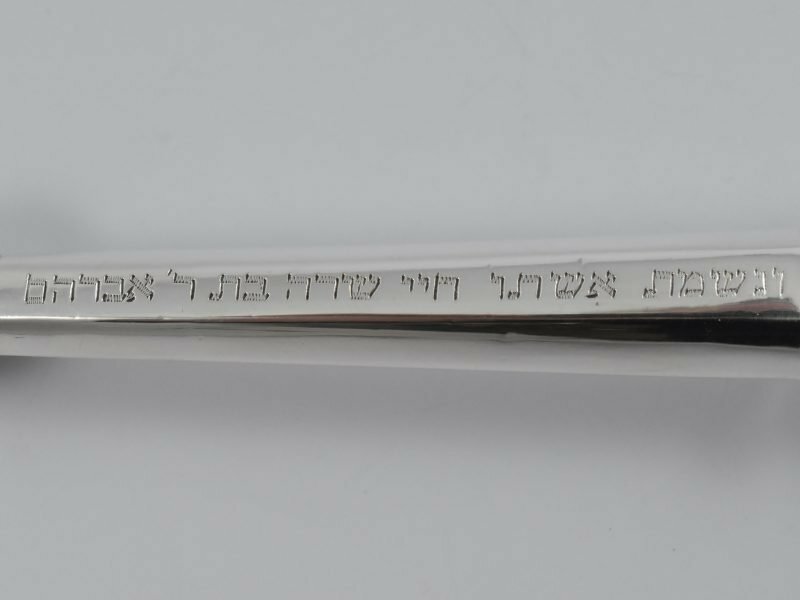 Provenance: Ex-Poswohl Shul, Mooi Street, Johannesburg. 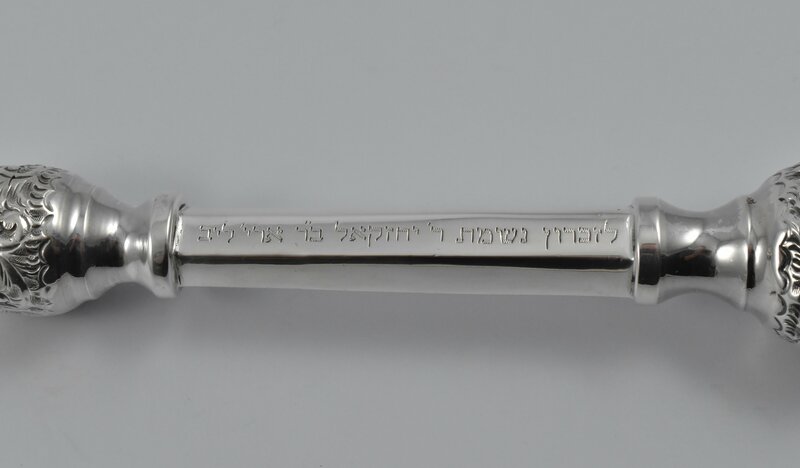 Established 1922 and closed 1998. 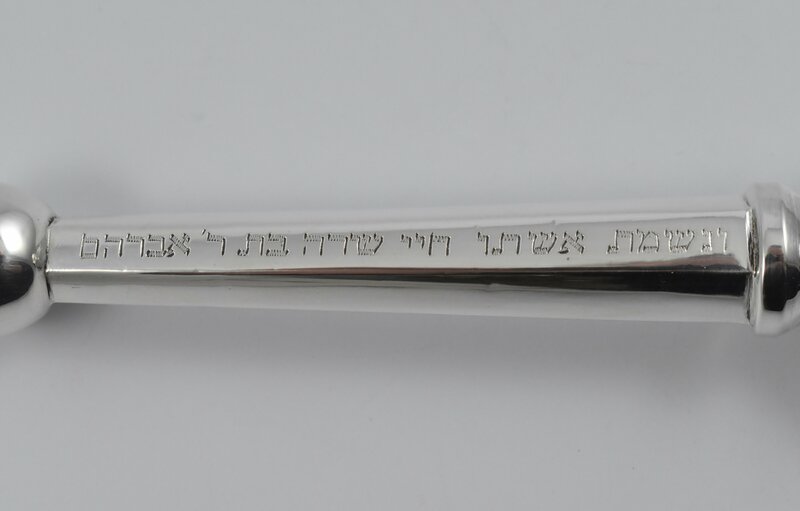 The Hebrew inscription reads: “In memory of the souls of Reb Y’Cheskel son of Ariea Leib, and his wife Chyia Sara daughter of Reb Avraham. 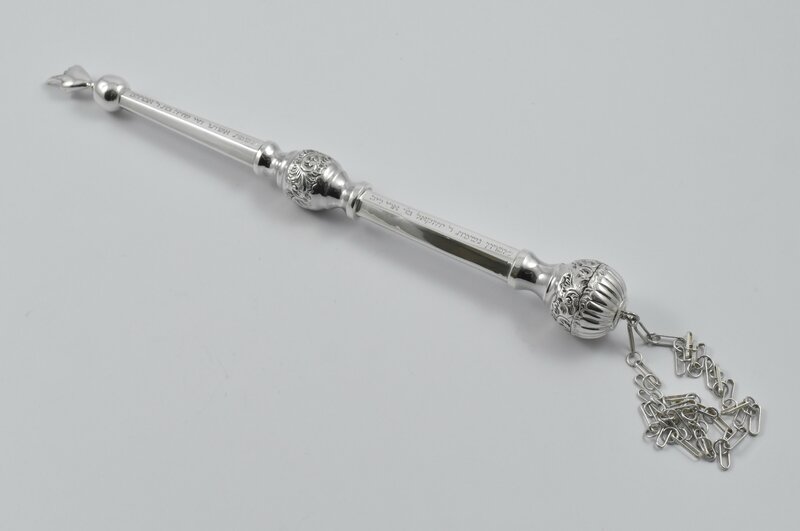 Dimensions: 32.5 cm long by 3.5 cm top ball diameter.